There aren't enough GREAT words in the dictionary to describe this dog. "Scuito" is the absolute friendliest girl in the world. She will play ball, work, and curl up in your lap to watch a movie. 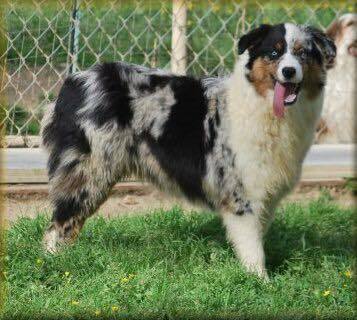 To add to the personality, she is absolutely stunning with her beautiful blue eyes, conformation, and her perfect markings. Scuito is registered with AKC/ ASDR.
" Jinx" is the sweetest- in your pocket girl. However, if you want to take work ethic into the equation- this girl is the total package. She loves her human by being obedient and loving her jobs, no matter what you ask of her. 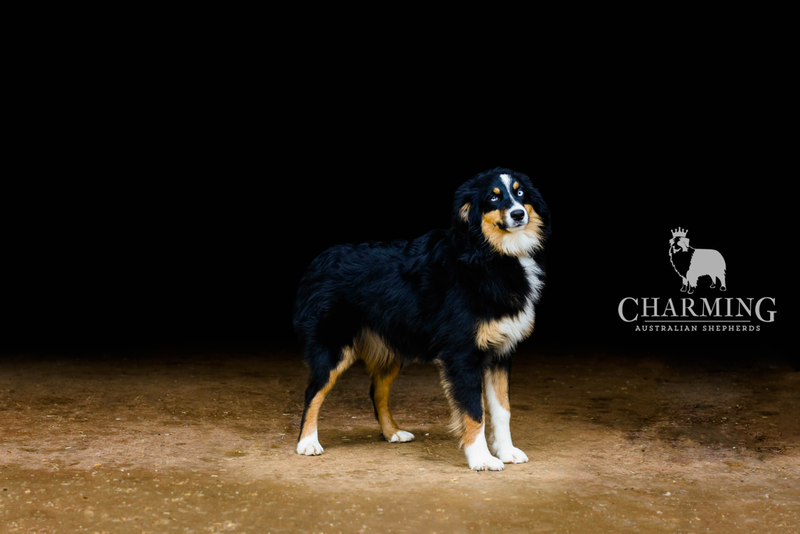 Jinx has been welcomed into Charming Aussies with open arms and will forever reside here. "Ruby" is a new addition to use at Charming. 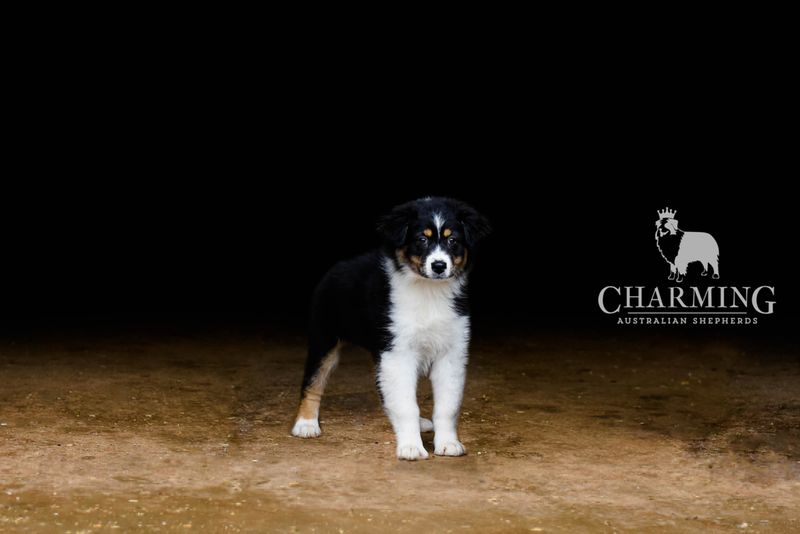 She will greet you with the biggest Aussie smile every day! She loves to be the center of attention as long as you are giving her cuddles and tons of love. She is the first to meet you at the gate and overall she is fantastic dog. "Dawn" is full of sugar and spice. This little girl comes from some of the nicest working bloodlines. She is full of grit but also loves her humans. She is always the first one to greet us when we get home with lots of snuggles and then she goes right back to work- herding anything she can find. We absolutely cherish her in the Charming Family. Dawn is registered with AKC/ASDR and is ASCA eligible. She will not be bred until TWO years of age. 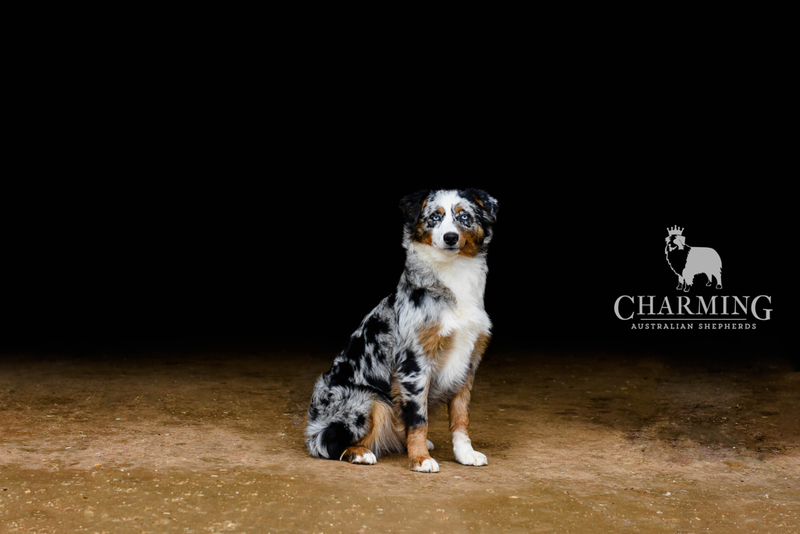 This girl is a stunning blue eyed black tri female. Personality wise, she is very independent and a bit reserved with strangers. Shes amazingly gentle and loves children. Berni is a striking girl and her structure and build really show off with her personality. Berni is registered through AKC/ASDR. We are very excited to announce this new girl into Charming. This girl is absolutely the biggest sweetheart you could meet. She shows strong working drive- however enjoys cuddling her human.